The general premise of copyright law is that ownership becomes the property of the author who created it from the moment it’s created. However, there is one exception to this which is known as “works made for hire.” This means the employer can be considered a copyright holder, even if the employee is actually the one who physically created the work. If a work doesn’t fall under one of the categories above, it is still a work made for hire if there is an express written agreement signed by both parties indicating the work shall be considered a work made for hire. The courts often have to determine what is a work made for hire as there isn’t an all-encompassing legal definition that fits all scenarios. The first step is to determine whether the individual is an employee or independent contractor. If it’s determined to be an employee, the first section that references work created by an employee will apply. Independent contractors typically fall under the second section, and their work can only be determined to be a work for hire if it falls under one of the categories and there is a written agreement that specifies the work is a work made for hire. To determine the employer-employee relationship, courts look at factors like how much control the employer has over the employee’s work, how much control the employer has over the employee itself, and conduct of the employer. Conduct of the employer deals with things like does the company provide benefits to the employee or withhold taxes from payments, etc. Works made for hire are protected for 95 years from publication date or 120 years from the creation date, whichever one comes first. To compare against regular copyrights, a standard non-work made for hire is protected for the life of the creator plus 70 years. In standard copyrights, the law provides certain grants of the rights which can be terminated 35 to 40 years after the grant was made or after publication, depending on some circumstances. In the case of works made for hire, copyright law termination provisions don’t apply. 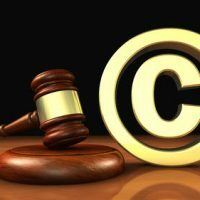 If you are concerned about copyright issues or are potentially facing the issue of a work made for hire, it’s important you have a good Washington D.C. business lawyer. Contact the team at Tobin O’Connor & Ewing at 202-362-5900 to schedule a consultation with one of our knowledgeable business litigation attorneys.